Author E L James, in her first extended television conversation since the "50 Shades of Grey" trilogy passed the 25 million copies sold milestone, talks with Katie about the astronomical success of her books, how she self-published the literary sensation of the year, and what this cultural phenomenon says about our society. Raffaele Sollecito, Amanda Knox's former boyfriend, talks for the first time on American television about the murder case that made international headlines. He will open up to Katie on his life after his ordeal in an Italian prison and share details about his reunion with Amanda. Hair! It’s a billion dollar business and one of the nation’s most secret obsessions. From when to go gray to the natural hair movement, Katie spends the hour on all things hair. Talk show personality Wendy Williams stops by with her famous wig collection, plus Katie tries hair extensions and going gray herself in front of her studio audience. Sharon and Lexie Love, whose daughter and sister, Yeardley, was murdered two years ago by her ex-boyfriend at the University of Virginia, will break their silence in an exclusive interview with Katie. The conversation will be the centerpiece of a program exploring the epidemic of dating violence. With concussions on the rise, Katie explores the world of kids and contact sports, as our experts answer questions every parent should be asking about how to protect their children on the playing field. She sits down with neurosurgeon Dr. Robert Cantu, a leading expert on concussions and author of Concussions and Our Kids, and a woman whose son died after suffering a series of concussions. Later in the hour, Katie’s guest will be Dr. Pamela Peeke, author of The Hunger Fix: The Three-Stage Detox and Recovery Plan for Overeating and Food Addiction, who will explain why food addiction is a very real problem, as well as help one “Katie” viewer get on the road to recovery. The incomparable Barbra Streisand will make a rare television appearance to discuss her passion -- women and heart disease -- as well as her return to Brooklyn for her first performance there in more than 50 years. Singer and actress Demi Lovato, who began her new role as a judge on "X Factor" the same week as Katie's premiere, will discuss the emotional battle with anorexia and bulimia that nearly ruined her career. 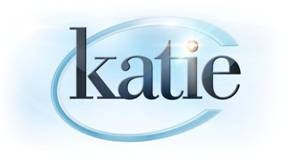 Later, Katie will tackle the broader issue of eating disorders and the growing trend in older women.